Welcome to Alpha Omega management and regards from Metalheads Forever magazine, how have you been? How are things in the World of Unhuman Insurrection? Thanks for the warm welcome. Things are going great, fast and better than we could have ever imagined as we started. This makes us believe and work even harder daily, loving and giving to our music more and more. Tell us about how the band was formed and the respective roles of each member? 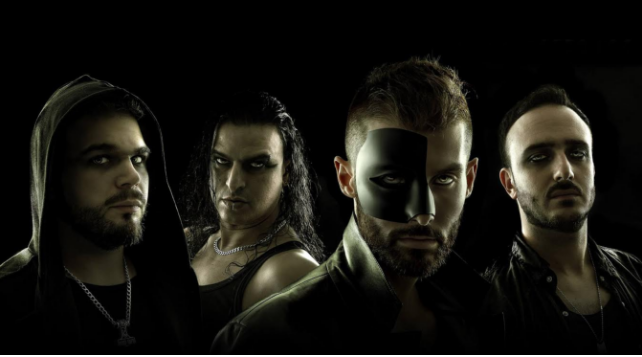 The band was formed at first in 2011 with a different name, project and core in all senses. Most of members were the same but we definitely had another speed (slower) and awareness of who we were and what we wanted to do. 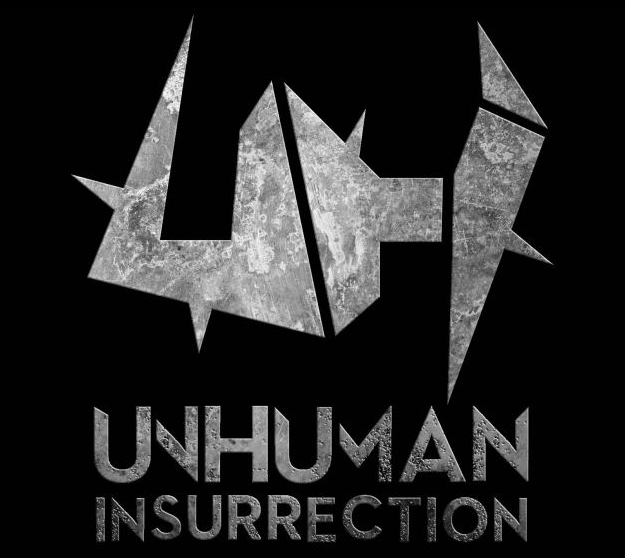 The crucial year is 2016, where UnHuman Insurrection start shaping their world, identity, breed etc. It was both something we prepared and “created” willingly and a flowing natural evolution of our being and ourselves merging together, giving birth to what we are. I have to say one of the reasons things are going so well is that each member is taking care of some specific tasks, according to his skills and possibilities. Alberto (drums) is the link between the band and the agency (Alpha Omega) for our tours and live gigs, Matteo (guitarist) is the main composer and the most active on social medias, Marco (guitarist) is the “technical guy” who’s best experienced and expert in sound engineering, instruments, live equipment / assets while Giacomo (singer) is the one who takes care of all foreign communications and interactions. So what are you guys hailed as? Describe your unique sound to our readers. The main link between us all is that we don’t much fit nor recognize ourselves into stereotypes. Sometimes music and emerging bands could be easily wrapped and stuck into the wish of creating something or stick to what is more or less “heard/understood” around or already functioning. Our keys, so far, have been the determination and the strong belief of blending heavy and modern rhythmic with a melodic clean vocal, because we feel this is the spontaneous intersection where each of our different backgrounds meet and where we feel expressed more. Our sound wishes to deepen and get idea of modernity and might, yet with that hint of decadence and melancholy that is driving nowadays lives. Tell us about the local scene when you started as opposed to present day? Contrarily to what usually and perhaps more logically happens, we started first far from our local scene.We simply took some great chances that landed unexpectedly, we looked ourselves into the eyes and said “hey, why don’t we just jump on this train, that seems so promising?”. And that is what it’s been. We are still focusing more on some key areas and situations abroad, in order to hit later our environments, with a different mindset and backup. But it’s coming soon as of course we don’t want to be absent nor even snob our own country. What were some of your influences growing up bands, songs etc? Here we 4 are quite all different. Mostly we can mention bands such as Exodus, Testament, Machine Head, Blind Guardian, Angra etc and you can surely think that neither of these ones have a direct match with our music today. And you’d be definitely right: it doesn’t, directly. But all these together, who inspired singularly each of us, have determined our blend. What is music making for you? What does it mean to you to play metal and to be artists? What would you be doing if you didn’t have music in your life? I always thought that art, for an artist, is his real mother language. It is the mean with which he truly expresses things that would never get out otherwise. For sure music is what we are and who we are. We simply couldn’t imagine ourselves without loving each single aspect of what is related to our project, whether it’s on or off stage. For us, playing metal and be artists is simply “being”. This isn’t what we do; it’s what we are. So, we feel deeply thankful for what music has given us so far and we just think (and hope!) that a lot more is to come. We definitely don’t wanna miss a thing! Reason for selecting the band name? I love to hear the story behind it. We have a vision of this future, decadent world in which the human is no longer human. We sense this already filling part of people’s lives. Therefore the band name wishes to embrace a feeling, more than a meaning. UnHuman is referred to this said no-longer-human core that is already developing, even unconsciously, inside people; Insurrection is to pinpoint a sense of riot, rebellion, of non-acceptance. But, most important of all, we like thinking that each reader can put a bit of him/her inside the concept and feeling. What are your general themes/messages you want to convey through your music? The lyrics of our first album are mainly social, telling and picturing this whole sense of perdition and disorientation we described above, while speaking about band’s name. So, through our music we basically “study” and draw lives, minds, social patterns and schemes. The human being, its duality, incoherence and incompleteness are mainly the areas where our music revolves around. What are your plans for the future? What can we expect in the second half of 2017 heading towards 2018? Well, the second half is being filled with incredible news, activities and especially live gigs. Most of them will be announced very soon, and many more are to come, as we are working on several different situations at the same time. Plus, of course, the release of our album “Equilibrium?”. 2018 is to continue the and intensify the live activities and tours we have approached and 2017 and extend the band’s activities to new markets, countries. Generally we can simply say we will push even more, keep growing. How has your experience with the Alpha Omega family been so far? Unquestionably outstanding! Alpha Omega is and has been the key to us for reaching and getting to some situations we wouldn’t have expected to get so soon. Doubtless, their job has been dedicated, committed and highly professional. The agency is made by humble and easy going people that, on the other hand, know very well their stuff and, at the end of the day, carry out what they say they would do. We don’t feel to have any advice as of now but for sure a message to them: THANK YOU! It ain’t easy for an emerging band to try to do new stuff and begin from zero. But, contrarily to what we were prepared to face, we have encountered an extremely warm appreciation and response from many many parts of the world, even though we haven’t step a foot there yet. People make us feel proud of our music and push us working even harder. Every day on social communities we feel this warm embrace and this call to get to any country they’re writing us from. Therefore, no advices for you but just a huge, most sincere, THANK YOU!